KNRUHS Merit List 2019: The KNRUHS will release the TS MBBS/BDS Admission Merit List 2019. Kaloji Narayana Rao University of Health Sciences (KNRUHS) will prepare a common Merit List on the basis of the percentage of total marks obtained in the Qualifying exam. Merit list will be published on the official website i.e. knruhs.in. The candidates who are planning to apply for MBBS/BDS seat in State level quota will have to apply for KNRUHS NEET Admission 2019. After the successful submission of the application form, the authorities will release KNRUHS NEET 1st Merit List 2019. Only those candidates will be eligible for the counselling whose names are mentioned in the Merit List. The authorities will be releasing Telangana NEET MBBS Merit List 2019. After checking their name in the Merit list candidates will be required to attend the document verification for web counselling process of the KNRUHS MBBS/BDS Admission. The Document Verification will be done after the release of the KNRUHS Merit List. Final Merit list is decided after verification of original certificates. It is important for the candidates to be physically present during Document Verification. For more of the details of KNRUHS Merit List 2019 go through the article below. The Merit List of KNRUHS will release in an online mode on the official website. Candidates who have successfully submitted the Application Form will be able to go through the Merit List. The availability of the list will be as per on the announced date as mentioned in the admission schedule. Candidates are advised that they save and download the schedule as soon as it is available by the authorities. The Merit List will provide all the required details for the candidates. It is important that the applicant must have provided the correct credentials in the login section to access the Merit List or the admission list. The Merit List will provide the names of the candidates who are eligible to proceed with the admission procedure further. The selection of the candidates will be on the basis of the marks secured by them in the qualifying examination. Once the Merit List is available, it is important that the applicant must have gone through the details very carefully. The Merit List will provide all the relevant details. The List will mention the Name of the candidate, Application Form number, Course name, marks secured by the candidate in the qualifying examination, rank of the candidate in the Merit List and the instructions to be followed by the applicant after the release of the Merit List. In case if the candidate finds any of the details provided in the form to be invalid or incorrect, the candidate will have to contact the admission authorities immediately. It is important that the applicant must get the multiple photocopies of the Merit List on the day of the counselling for the final admission and the seat allotment. 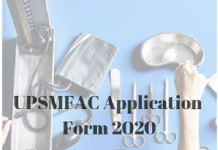 The students have to apply for the KNRUHS UG Medical Admission in the month of June 2019. The authorities by checking the merit list and attend the counselling process. The authorities release the merit list in the month of June/July 2019. The candidates applied the university MBBS & BDS admission 2019 all can check the merit list pdf file. To help the aspirants here we listed the merit list file downloading steps through official page. Candidates need to visit the University official web portal. Search the KNRUHS NEET MBBS/BDS Merit List 2019 link on the home page. If the link is found then click on it. Now the aspirants can click the merit list link on this page. After search the candidate’s names in this file. If candidates names are in merit list attend the counselling. Total Percentage of marks obtained in the Qualifying exam. The candidates who qualify under the compartmental system shall be placed in the merit list after the candidates who passed in a single attempt. In case of equality of marks and aggregate percentage of marks, Age shall be taken into consideration and the older candidates shall be given higher place in the Merit List. In case of equality of marks, the aggregate percentage of marks in all subjects of the qualifying examination up to two decimal places. The aspirants whose names will be placed in the merit list can eligible to attend the counselling process. The authorities release the KNRUHS NEET BDS Counselling Dates 2019 on its web page. The aspirants check the dates & process and attend the counselling process. Then after the release the merit list the university conducting the documents verification and web counselling process. Certificates Verification: The documents verification the candidate’s scan carry all required documents to the counselling. Based on the official notification the certificates list is mentioning the below. 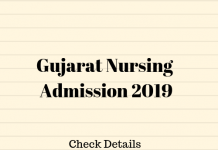 Admit Card of CBSE NEET-UG 2019. NEET 2019 Result/ Score Card. Class X & XII certificate. One Copy of Photo Identity proof. Options Filling: After the documents verification process is completed the board authorities release the web counselling dates. The students check the options filling dates & attend the web counselling. In this process, the candidates can enter the choice of colleges.